A Little Sleek Haul & Swatches. The other day, I noticed that Sleek had revamped their website and so to celebrate the relaunch, they have decided to give customers a 20% discount on all their products. I decided to take advantage of the discount to stock up on some stuff that I’d wanted for a little while now. Thoughts: Pleasantly surprised with both of the lip glosses. I absolutely hate brush applicators (#TeamDoeFoot) but these brushes are actually OK. The consistency of the glosses are quite runny, but they stay on the lips for quite a long time. I thought that ‘Pump it Up’ would be more pigmented, however it comes up quite sheer and is not that build-able unlike Rumour which is very pigmented. Rumour is a gorgeous egg-shell/peach colour which I was excited to try as I’ve been trying to look for lighter lip glosses that suit my skin tone for the longest time. I’m happy that it doesn’t clash with my skin tone or make me look like some sorta crackhead (O_O). It also stays on the lip for about 3 hours before reapplying. I LOVE me some pout polishes! I’m aiming to get the whole collection as they come in such gorgeous colours and pigments. I decided to get one of each shade this time; one light, one dark and one bright. I’m in an orangey mood at the moment so I was excited to meet Electro Peach. I haven’t made my mind up about Peach Perfection as it looks a bit too ghostly, however with the other two, the colours are buildable. I like the idea of Sleek bringing out liners that can be used for either the lips or the eyes, so I decided to get a couple of the liners. I’ll be using the purple one as a lip liner to go with the lipstick I bought (below) and the aqua liner for eyes, just for a little change. When I saw my cousin wearing this the other day and I just had to have it as it looked so different and vibrant! It has amazing pigmentation, however it is EXTREMELY dry (as you can see above, I quickly put the lippie on so it looks a bit sloppy!) so a lick of lip balm beforehand is definitely needed. However once it’s on, it doesn’t budge. I also used the Eau La La liner with this lipstick above too. 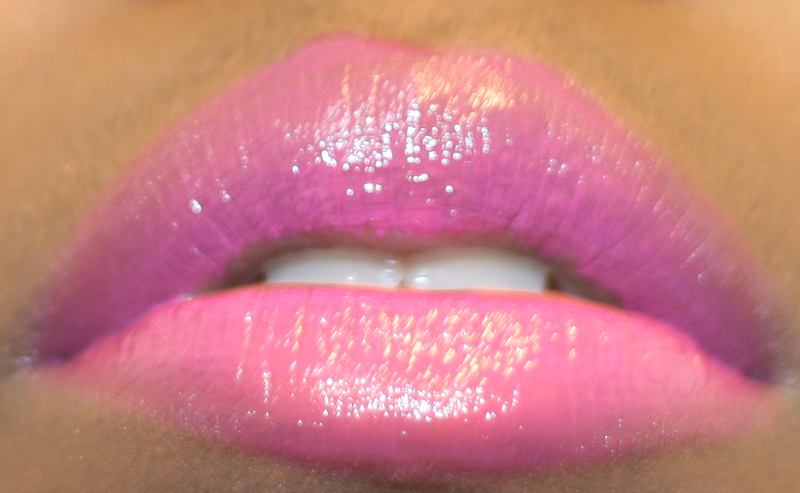 Mystic lipstick with Pump it Up gloss – LOVE! I have the ‘Pumpkin’ blush set but I really wanted a set of blushes that’ll look awesome for winter, so I went for Sugar, which features three lovely golden hues. What’s great about this set is that you can either wear them individually, or you can layer them on top of each other to contour and highlight your cheekbones. I love matte shadows as my brows can’t handle glitter- the crease-age is too much! This is a very rich and warm palette which has loads of pigment and staying power. I’m especially loving the green and indigos! Perfect for winter. Sleek’s online discount runs until the 7th of September. What are your favourites from Sleek? Next Post Revlon Shanghai Collection: Lipstick Swatches.